Finds officer Rachel Cubbitt realized the skull might contain a brain when she felt something move inside the cranium as she was cleaning it, Hall said. She looked through the skull’s base and spotted an unusual yellow substance inside. 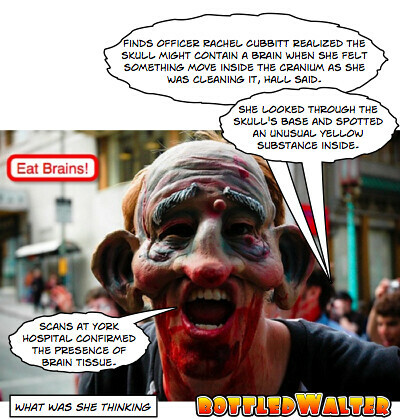 Scans at York Hospital confirmed the presence of brain tissue.